Need a graduate or student? Radiation ties the Radiation Science and Technology department together. The focus of our research is on energy and health. However various our interests, whether they be materials, sensors and instrumentation, energy and sustainable production or health, all our research is somehow related to radiation. 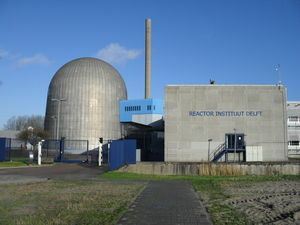 The close collaboration with the Reactor Institute Delft guarantees access to the reactor and the irradiation facilities. We have wonderful plans for the future, with more and even better facilities, under the acronym OYSTER. In order to keep up with European and global developments, the Netherlands needs a strong knowledge centre with its own small, but significant, radiation source and associated instrumentation. Therefore we present our ambition for the future OYSTER: Optimised Yield - for Science, Technology and Education - of Radiation.